Baby Bear Children's Clinic is located in Woodlands. Clinic offer following services: Paediatric, Childhood Illness and Vaccination. Clinic has well-trained pediatricians who will attend to your baby, child or adolescent. 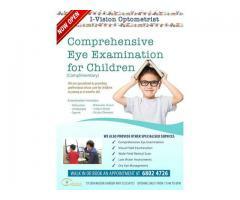 We are the expert for pediatric vision care, dry eye examination and management and also provide ultra-wide field retinal assessment. We aim to increase awareness on primary eye care in Singapore and get more practitioners involved in providing eye care to the public. Angelin's Baby & Child Clinic is located in Marsiling and they specializes in paediatric.